But still the message and meaning is not clear. Then we get the bill and go into a corner and cower. The Christmas message is not difficult. It is our human make up that is at fault. We should show the same love each and every day. Christmas should not be stressful or cause dismay. Christmas should be a day of love and hope for all. It will only be this way if we answer God’s call. Christmas day is all about forgiving. Helping others to enjoy life and good living. This should be every day of the year. With God there is no sunset clause. 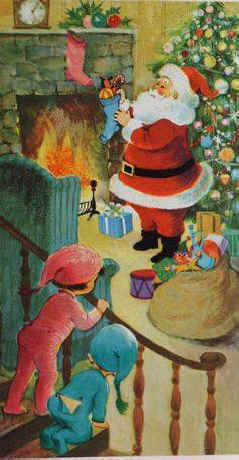 Everyday we can be like Santa Claus.